ROBITUSSIN OTC Cold Cough Congestion Relief. Cold Medicines help relieve many symptoms related to colds and flus. Coughs, Chest congestions, Runny nose, Sneezing, Nasal congestion, Body aches, Sore-Throat and Fever! 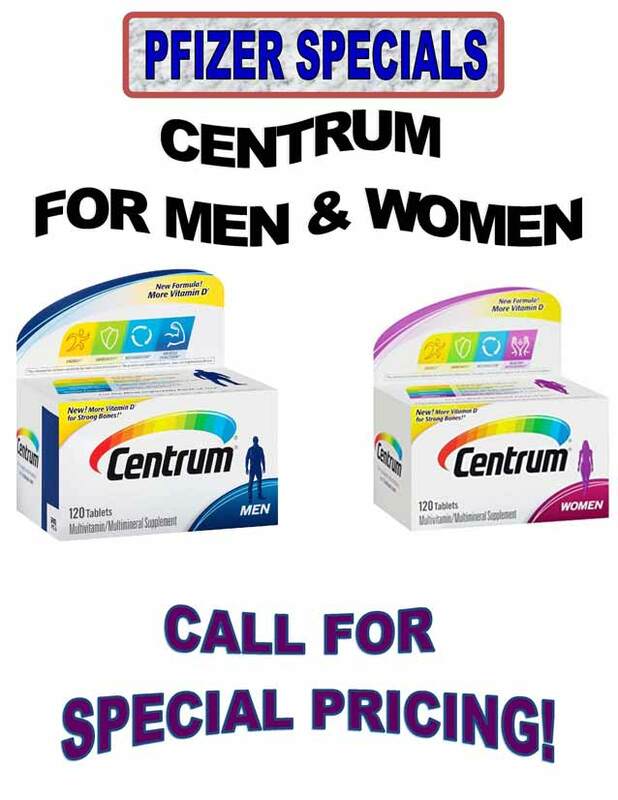 They are pleasant tasting and come in a wide variety of formulations specific to your needs! All available in 4oz Liquid size. In stock year-round at our warehouse location, 1626 Locust Ave., Bohemia, NY 11716 facility. Give us a call and you will be pleasantly surprised! 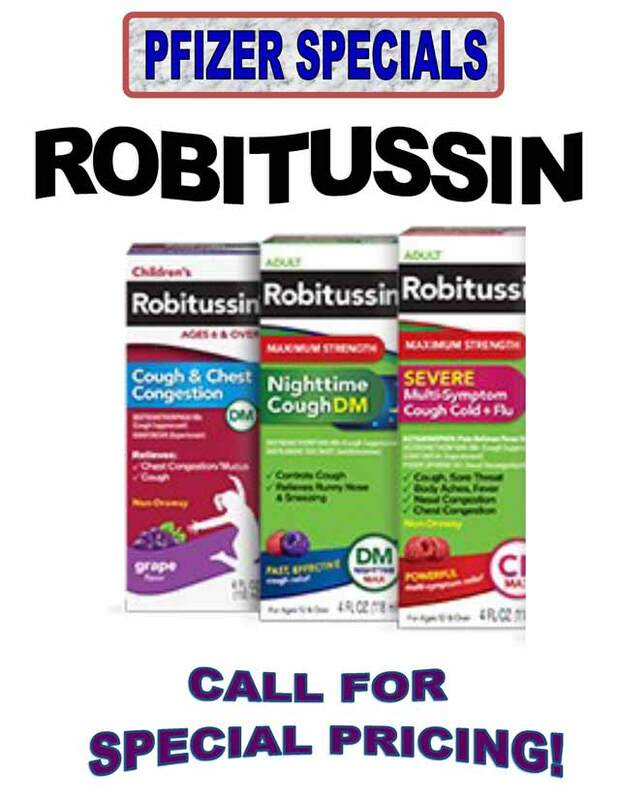 We can offer you ROBITUSSIN at super wholesale pricing! 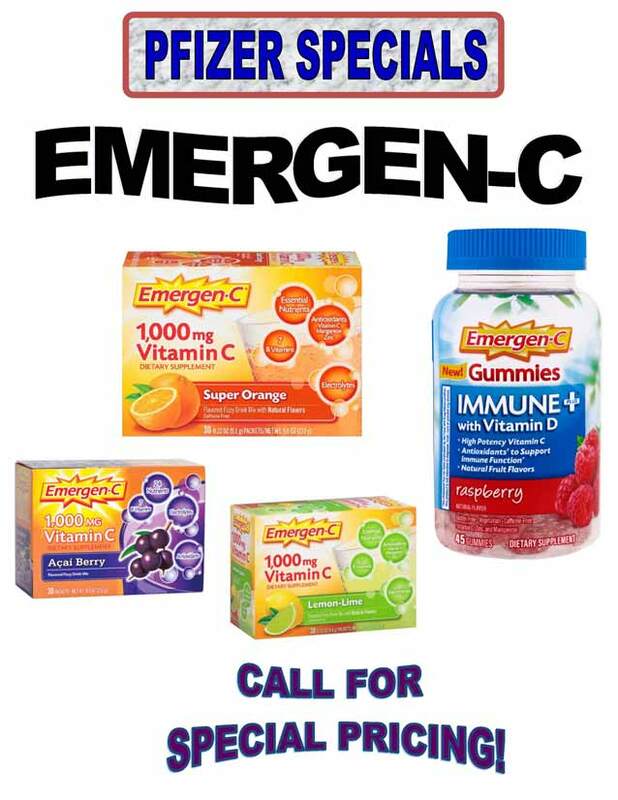 Wholesale EMERGEN-C is loaded with Vitamin C to help support you immune system! 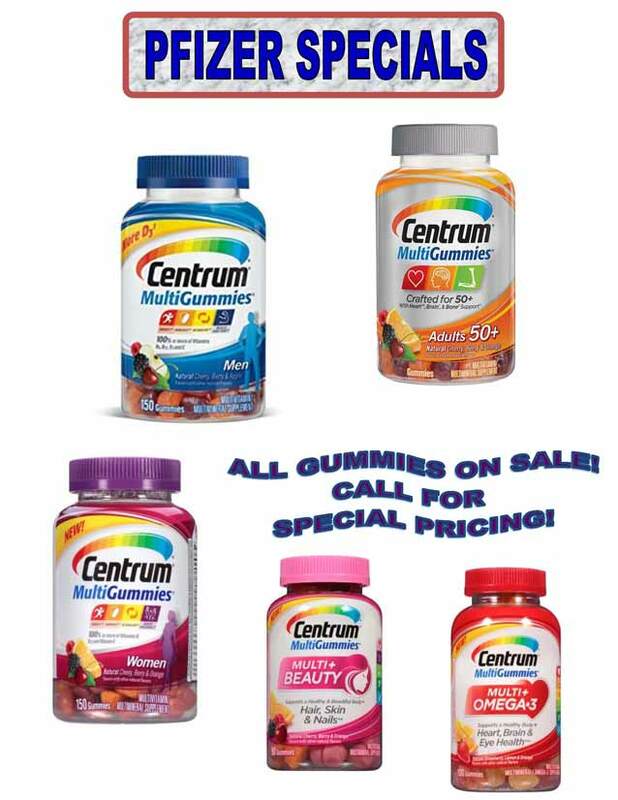 Emergen-C helps provide key Antioxidants such as B vitamins while tasting great! They are available in a variety of Natural Fruity flavors. and now available in Gummies too! Wholesale ADVIL is tough on pain! Advil blocks the production of Prostaglandins! Advil relieves Headaches, Joint & Back Pain! Advil works gently in your body as long as you use as directed. Advil PM helps you sleep better! Advil Cold & Sinus Allergy tablets relieve your cold symptoms to help you function better! 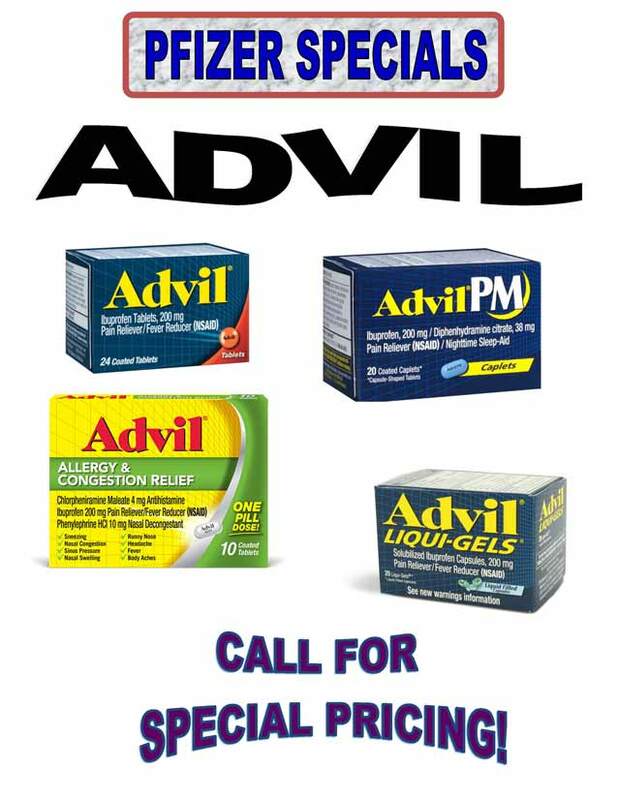 Advil is the #1 recommended and top selling pain reliever in the world! Bone, Heart, Brain and Eyes Health! 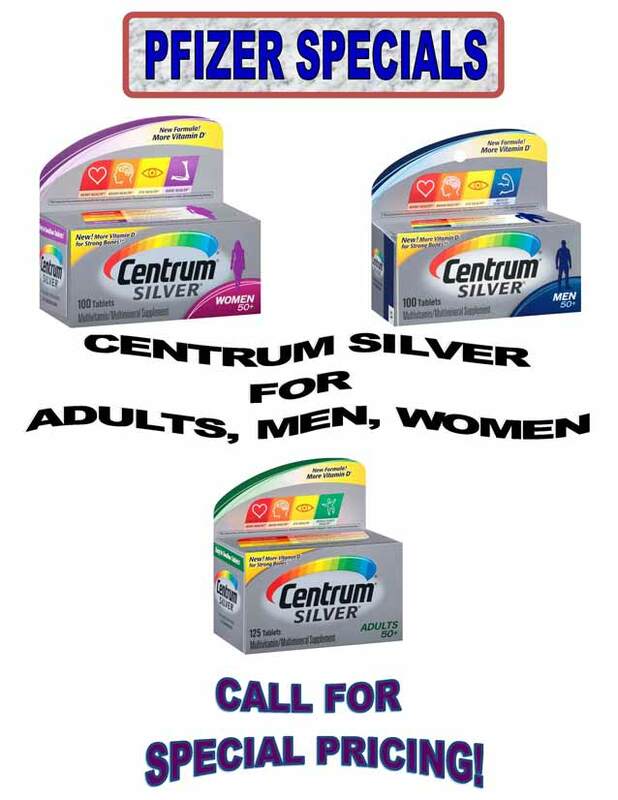 Centrum Silver Vitamins have been independently verified as Non-GMO and Gluten Free! They also provide 100% of the daily allowance of vitamin D and Calcium! In addition, the Smooth coating makes them easy to swallow! 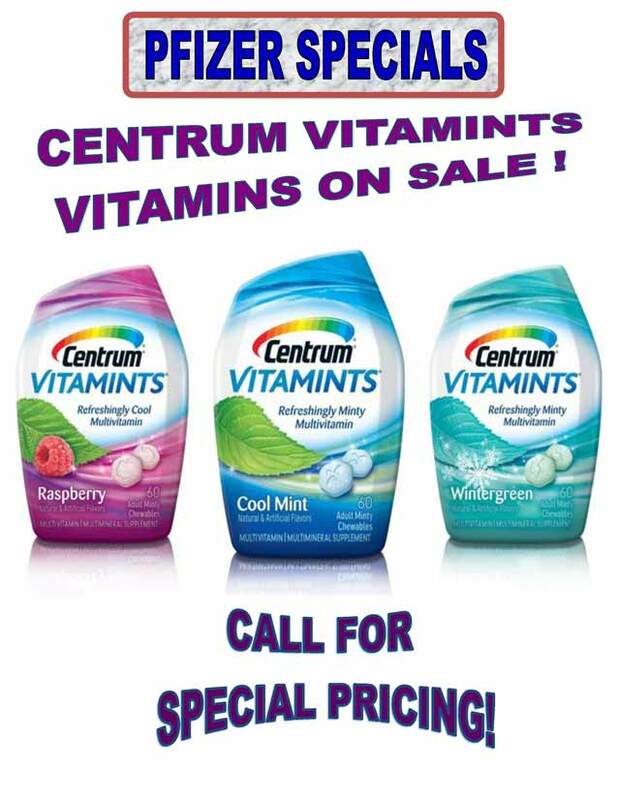 These refreshing vitamins come in 3 flavors of Coolmint, Wintergreen and Raspberry! They taste great as a mint while supplying you with 100% of your daily requirements of Vitamins C, D, E and B6! 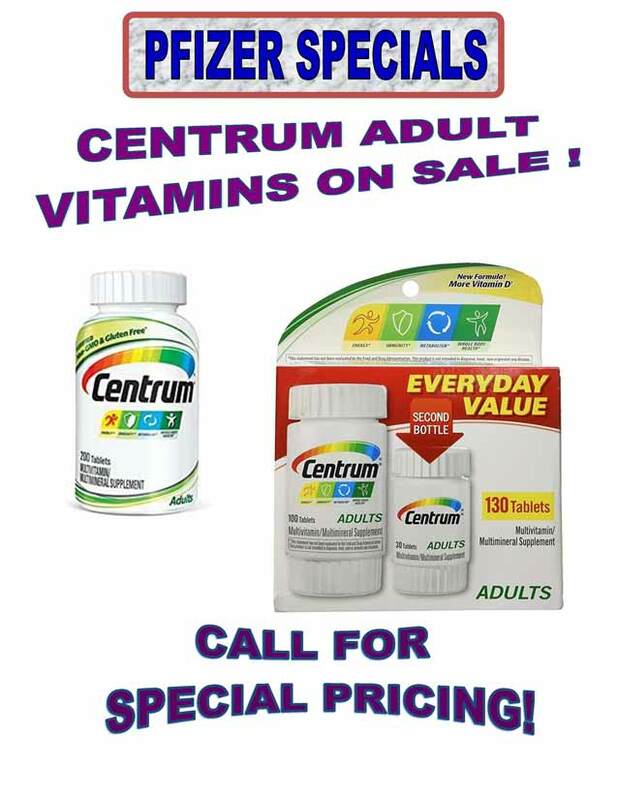 Centrum Vitamints are not chalky and provide many essential nutrients! Fresh breath with a dual purpose! Prompt Service and Speedy Distribution Across the USA and Abroad. Guaranteeing You The Lowest Prices And Freshest Merchandise.